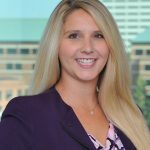 Howard E. Jarvis is a member of the firm whose primary areas of practice include toxic tort, environmental, product liability and insurance defense litigation. In his practice, he has served as either lead counsel or lead co-counsel in toxic tort and environmental litigation in Tennessee, Alabama, California, Florida, Georgia, Indiana, Kentucky, Louisiana, Mississippi, Missouri, New York, North Carolina, Ohio, Pennsylvania, South Carolina, Texas, Virginia, and West Virginia. 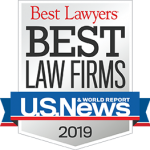 Mr. Jarvis is listed in The Best Lawyers in America© in the areas of Litigation – Environmental, Personal Injury Litigation – Defendants and Product Liability Litigation – Defendants. He was named the Best Lawyers’ 2015 Knoxville Litigation – Environmental “Lawyer of the Year”, the Best Lawyers’ 2016 Knoxville Product Liability Litigation – Defendants “Lawyer of the Year”, and has been named the Best Lawyers’ 2017 Knoxville Litigation – Environmental “Lawyer of the Year”. 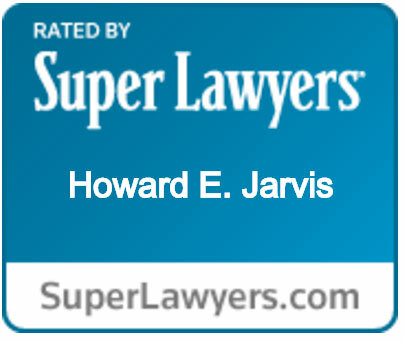 Mr. Jarvis has been recognized as a Top Rated Lawyer in Energy and Environmental Law in both 2012 and 2015. This rating is given to those who have achieved a Martindale-Hubbell AV® Preeminent™ Peer Review Rating, the highest rating in legal ability and ethical standards. On behalf of several petrochemical companies he has handled multiplaintiff toxic tort cases in various jurisdictions. These cases have involved both personal injury and property damage claims as a result of alleged chemical exposure. 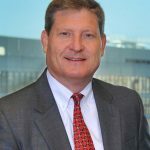 He has argued cases in the Tennessee Supreme Court and Tennessee Court of Appeals, the Georgia Supreme Court and the Sixth Circuit Court of Appeals. Mr. Jarvis, a native of Chattanooga, Tennessee, graduated from The University of Tennessee in 1976, with a B.A. in history. He obtained his J.D. from The University of Tennessee College of Law in 1979. Mr. Jarvis is licensed to practice law in the state of Tennessee and the Commonwealth of Pennsylvania. Mr. Jarvis is a member of the Knoxville Bar Association, the Tennessee Bar Association, the Pennsylvania Bar Association, and the Federal Bar Association. He is a Fellow of the Knoxville Bar Foundation. He is a member of the Defense Research Institute and also a member of the Tennessee Defense Lawyers Association. 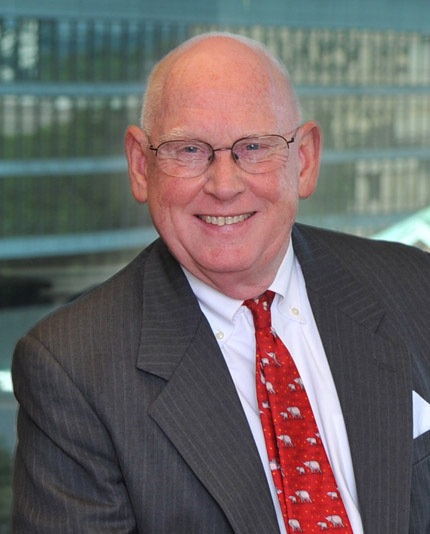 He has served as the chairman of the Fee Dispute Committee of the Knoxville Bar Association and was awarded the President’s Award in 1997 for his service to the Bar. He is an Adjunct Professor of Law at the Lincoln Memorial University Duncan School of Law. He served as the corporate chair for the 2016 and 2017 Knoxville area JDRF campaign. He is serving as the Fund A Cure Chair for the 2017 Knoxville area JDRF campaign. Over the last several years, Mr. Jarvis has spoken at seminars on the topics of toxic torts, trial practice, the use of genomics in the courtroom, and ethics. He has spoken at the Texas Wesleyan School of Law, the Rutgers University S. I. Newhouse Center for Law and Justice, and Duncan School of Law, Lincoln Memorial University. Genetics and Genomics: Making the Invisible Visible – Toxic Torts and Environmental Law. Coauthor. DRI – For the Defense, April 2015. Using Gene Expression as a Pathway to Victory in Toxic Tort Litigation. HarrisMartin’s LitigationWatch: Benzene, January 2014. The Importance of Witness Preparation: Why Time Devoted to Preparing a Witness is Well Worth It. Woolf Prints (Spring 2009) (p. 1). Trace Benzene Cases in the Real World: Is a Trace Benzene Case Really a Benzene Case? HarrisMartin’s Litigation Watch: Benzene, June 2005. Mechanism or Causation? The New Battle Over Benzene Metabolites. HarrisMartin’s Litigation Watch: Benzene, May 2006. Co-Author, GAME CHANGER – Making the Invisible Visible, Genetics and Genomics, Toxic Torts and Environmental Law Compendium, DRI 2017. Co-Chair of HarrisMartin’s DNA and Molecular Evidence in Toxic Torts Conference: The Time of Genomics Is Here. Charleston, SC, May 1, 2015. Toxic Tort Litigation Update: Bolstering Defense Strategy by Learning from the Docket. Presented by Howard E. Jarvis, Member, Woolf McClane (Knoxville, TN), Tynan Buthod, Partner, Baker Botts LLP (Houston, TX), and Tara Kelly, Counsel, BP America (Houston, TX) at the ACIs 6th National Forum on Chemical Products Liability and Environmental Litigation, New Orleans, LA, April 21-23, 2015. Witness Testimony and Reports and Keeping Evidence Out (Pre and Post Trial). Presented at the “Rules of Evidence: A Practical Toolkit” Seminar sponsored by the National Business Institute, October 30, 2014. Case Study: Using the Developing Science of Genomics to Efficiently Disprove Causation Theories: The Latest on N.O.R.M. Cases in Louisiana. Presented by Howard E. Jarvis and Eugene J. Brown, Jr., at the ACI 5th Chemical Liability & Environmental Litigation Forum, Chicago, IL, April 28-29, 2014. Daubert Issues Pertaining to Genomics. Co-host and presenter at the “DNA and Molecular Evidence in Toxic Torts” Conference, Charleston, SC, March 27, 2014. Quelling Plaintiffs’ Causation Agreements: Strengthening Defense Tactics by Using Experts and Advancements in Science Effectively and Convincing Courts to Apply the Cause In Fact Standard. Presented by Howard E. Jarvis, Thomas D. Allen, José A. Hernández Mayoral and N. Kathleen Strickland at the ACI Chemical Products Liability and Environmental Litigation Forum, Chicago, IL, April 28-29, 2010.